We returned to a partial week of school lessons and co-op classes this week. Apparently, we're easing back in, even though that wasn't the original plan. Sometimes life gets in the way of plans. My great plan was to start back on Monday with new dedication to keeping Amber's wake and sleep schedule. We'd finish up the school lessons we left hanging in December and be ready for new topics on Tuesday. This included implementing our newly designed daily schedule too. The only hitch was Amber's therapist decided not to take Monday off for vacation after all, so we went ahead and scheduled PT after another appointment at Children's. There went our open Monday morning and early afternoon, but all for a good cause since Amber now didn't miss a week of PT which she desperately needed that particular day. Instead of rushing home after PT to try and accomplish some school, we stopped by the shopping mall to find a specific birthday present for Amber's friend who's birthday is two days before her own. This friend is also moving to Kenya with her family to be missionaries in a little over a week. By the time we arrived home, both of us were worn out. Bedtime yoga sometimes with joint compressions to help with pain. Painting her nails for the first time in a long time. She's taking a break from Jamberry wraps. Tuesday we had our grand introduction to the new schedule and finished the left over lessons. Thankfully, Illuminating Literature uses a lovely novel notebook throughout the reading of the book. Amber didn't need to do hardly any review to complete our final discussions on A Friendly Persuasion, instead she looked through her novel notebook and was fully prepared. We still love this curriculum and are ready to start Peter Pan next week! Amber and I also completed all the lesson work for the current chapter in her German curriculum, but that was slow going. Amber has been rather symptomatic since Christmas. Honestly, she seems to be getting worse and not better lately. Now that Winter arrived in Missouri, her body is protesting. Her mind loses focus and she can't always connect thoughts either. She spent the entire time we studied German working her theraputty to provide some sensory input and hopefully calm her body. I could see her struggling mentally, and finally she said, "I just can't think. I can't make thoughts happen anymore." That pretty much ended school for the day. No matter how much I try to adjust her schedule, I simply cannot predict or account for dysautonomia and the variable cognative function (aka, brain fog). Some days we have to give it up and let her mind rest. Although her mind couldn't process school thoughts the whole day Tuesday, we did make it to the gym where we are members for walking. Amber likes their elevated track and the climate control. She struggled but completed a full 15 minutes of walking at a set pace. We are working on her endurance and her walking gait. The worse her EDS symptoms become the worse her gait gets, to the point she now has crossovers with turned in feet. PT is helping her strengthen those muscles around the weak joints (yes, I'm talking about you hips) to make walking easier again. We are doing our part in her therapy by walking several days a week. Playing on her new iPad Mini 4. She actually uses both of her iPads simultaneously now. Silly. And waiting for her co-op classes. She was pretty puny and symptomatic and we had a few minutes before the first class, so I took her to our church's cry room to put her feet up (blood pooling) and rest. Wednesday started out sickly for Amber and I knew she had a long day ahead too with her flute lesson and the new confirmation module at church in the evening. They are working on the fifth of the six chief parts, The Lord's Supper, in preparation for Amber's first communion on Maundy Thursday. Her confirmation itself won't be until October of this year (oh my goodness, it's actually the year my child will be confirmed!!). I shortened our planned Wednesday lessons to only a German chapter review in preparation for the chapter test and reading for the new chapter in Tapestry of Grace history. It was almost too much, but she made it all the way through confirmation before crashing. Today Amber is crashing hard after a full day at co-op yesterday. She went to her new classes, saw many of her friends again, and played the happy teenage girl for a while. It was glorious. Then we got home and she fell apart, almost literally. I might have to start carrying her backpack around for her at this point, which of course is not acceptable to a teenage girl. We are supposed to be walking the track again today, but I'm pretty sure that won't work out and I think we will try for her specialized yoga routine instead. It's dreary weather outside, there are tons of things that need to be done inside, Amber can't stand without seeing stars, and we are preparing for our first chance at winter weather tomorrow. Of course with the winter weather coming tomorrow, Amber and her friends have a get-together planned to celebrate both Amber's and her friend's birthday. We are cutting it down to the wire with the get-together too given her friend's family is moving in basically a week. Other complications, besides the weather, have also come up that may postpone their gathering. All of this has made Amber anxious and rather difficult today. 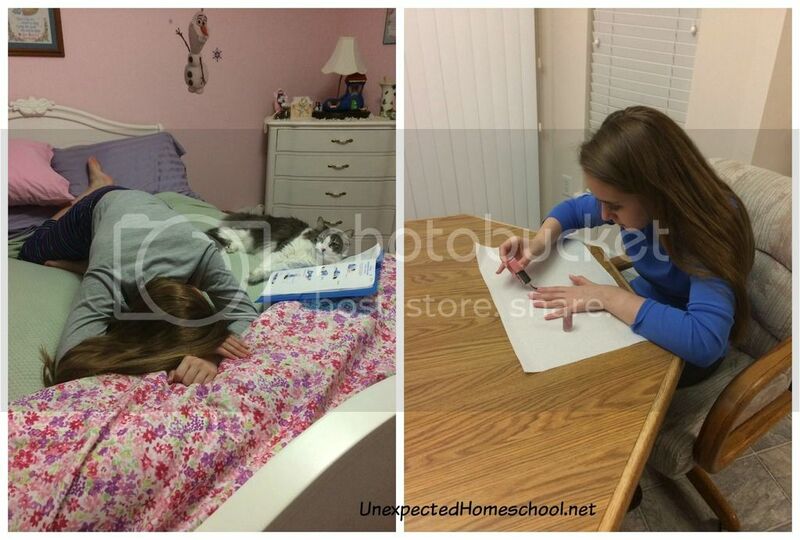 Amber did push through her symptoms to take her German test, read a chapter and answer the questions in her German reader, complete several sections in physical science, and is now working on homework from her co-op art class. It's progress. Next week we are taking off two days for Amber's fourteenth birthday: her actual birthday and a recovery day. Then there are no more planned days off until February! You all got plenty done considering all that you and Amber are going through. You took care of the priorities and that is what is most important. The books and lessons can come at any point. Your lives have changed so much in the few years I have followed your blog. We pray for you all often. Thanks for the prayers. We wer just looking at pictures from a few years ago and couldn't believe how active Amber was. She still wants to dance, but that is not advisable. 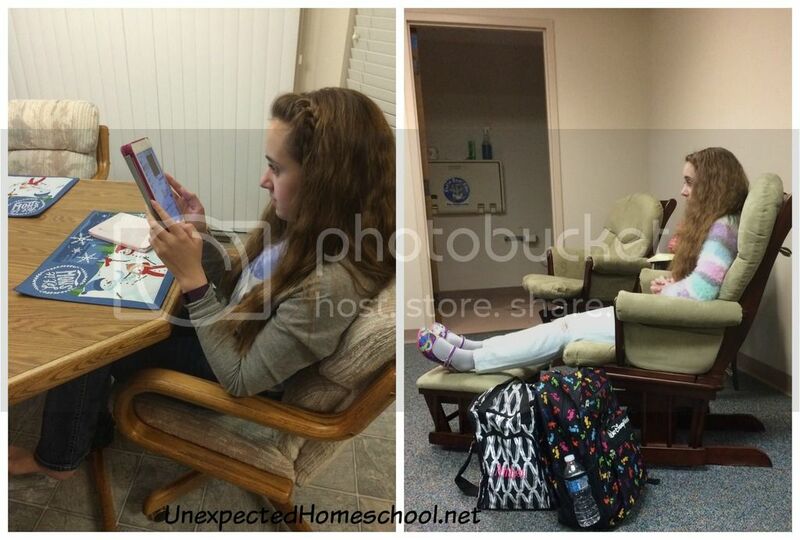 You know...Its a blessing that you are able to homeschool her. Imagine public school...In home you have more freedom to be flexible as needed which only benefits her. I can't fathom public school. 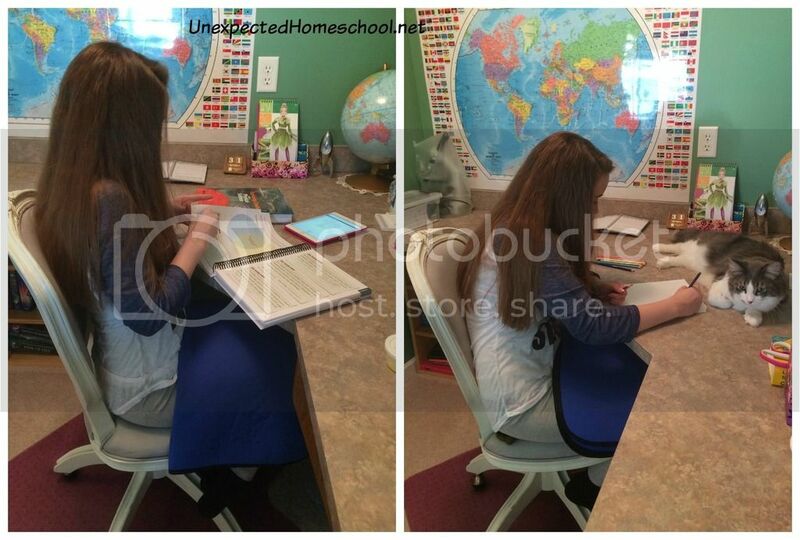 It is such a blessing we homeschool. She'd be a nervous wreck all the time. I'm just so impressed with how you keep on going and do so many special and fun things... you're a great mom. Thanks for always linking with Collage Friday! I am also impressed with how well both of you cope! She is a beautiful and strong young lady! I have a link up geared toward Junior High...I would love if you would link up some of your posts! It goes live in the morning, plus I am having a giveaway this week! I do not like seeing that Amber has had such a symptomatic week. I hope that she feels better soon. Maybe it's just the change of weather and when her body gets used to winter she will. Tell her happy birthday for me! I hope she has a wonderful birthday week! I am sorry to hear that Amber is having a rough winter. As always you family is in my prayers.